RRB JE Exam 2019 is at the top of the agenda to consider upon for the government job aspirants across the country. With multiple 13,487 vacancies, B.Tech Degree and Diploma holders eligible candidates who are deprived of the desired job, must look forward to fishing in troubled waters by applying for RRB JE Exam 2019. 31st January 2019 is the last date to apply for the same. What comes next is a flawless preparation to crack RRB JE Stage 1 2019 Exam. A reliable study content dealing with the exam comprehensively is the foremost step to be taken by any sincere aspirant. ADDA247 letting you utilize your hard work in the needed direction brings the most productive outcome for you by developing an exam friendly study material for all the major govt. exams. Railway Exams are one among those prominent exams to consider upon and our latest publication, A Comprehensive Guide for RRB Junior Engineer Stage 1 Exam 2019 (English Medium) at just Rs.450 is an excellent effort which supplies every single element required for an unbeatable practice to crack RRB JE Stage 1 Exam 2019. The encompassed 4500+ Exam oriented Questions, 500+ MCQs of GS & GA covering all important topics with smooth explanation, 10+ Full Length Practice Mocks and Previous Years Mocks ingrained with exam friendly enviroment, Bunches of Topic Wise Questions and Practice Sets comprising level based questions with detailed solutions are some of the key traits of A Comprehensive Guide for RRB Junior Engineer Stage 1 Exam 2019 (English Medium) developed under the guidance of a top-notch facutly and toppers' team, which make it a sure shot to buy at just Rs.450 and to prepare for RRB JE Stage 1 2019 Exam. 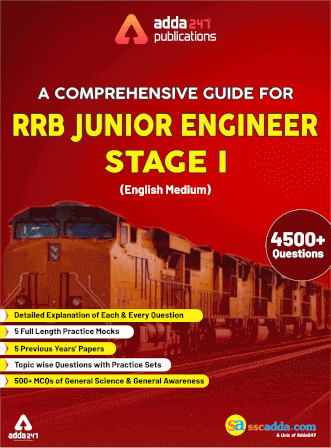 Click on the below link to get the full description of Comprehensive Guide for RRB Junior Engineer Stage 1 Exam 2019 (English Medium). 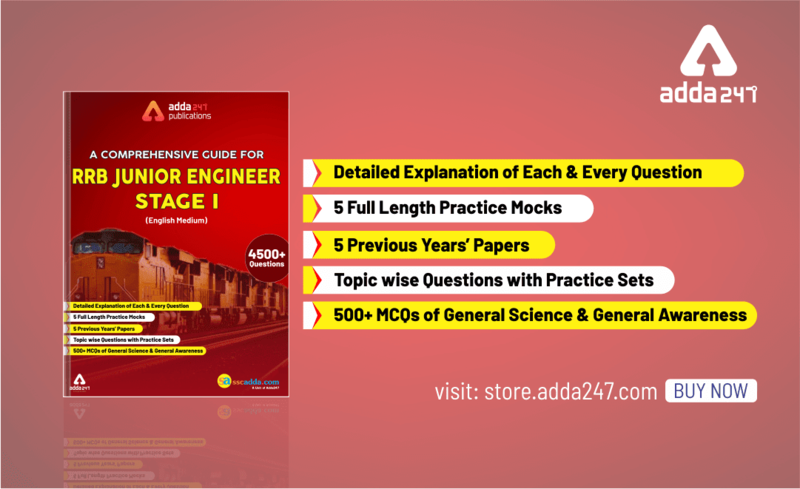 Don't forget to order and buy "A Comprehensive Guide For RRB JE Stage 1" book outright. GET RRB Junior Engineer Online Test Series Now!